Action: Choose an enemy in the staging area. That enemy does not make engagement checks this round. 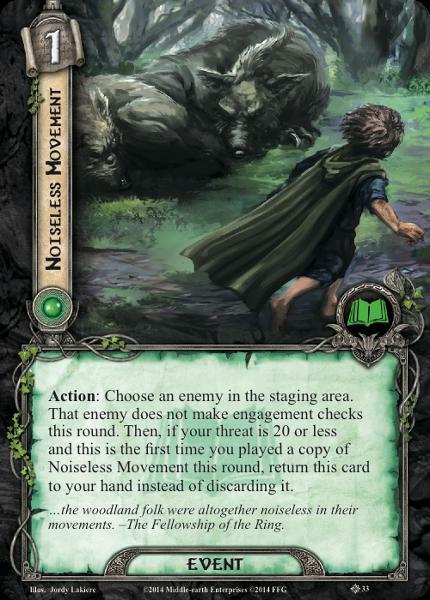 Then, if your threat is 20 or less and this is the first time you played a copy of Noiseless Movement this round, return this card to your hand instead of discarding it.